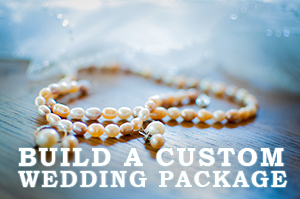 Want to build a custom wedding package? Home / Want to build a custom wedding package? Why Build a custom photography package for your wedding? There are many benefits of having the possibility for create your personal wedding bundle. If the wedding photographer that you are interested in offers these types of wedding service, you may want to “go for it”? The answer why is because your wedding occasion is what you want it to be. You want to have the opportunity to have the advantage to create everything the way that you have dreamt off? Creating your own photography package can also help you along with your love ones manage and budget your wedding expenses. How many hours should you hire your wedding photographer for? For what length of time do you really intent your wedding day to be ? Marriage occasions in many cases are full day events . If you are thinking to document your entire full day , then getting a wedding photographer for 8-12 hours would be the appropriate period of hours required. Say you decided to only required the wedding photographer to photograph the wedding ceremony, family and guest. Hire the wedding photographer for 3-4 hours will be more than enough time to get the kind of pics that you need. Bear in mind while there is no correct or wrong on how much hours you will needs from your wedding photographer . It’s about what you would like . How much should my wedding photography cost? Below you will see a form, where you can input all the information that you are looking for. Are you interested in an engagement session, photo book, or perhaps wedding prints. The custom for will give you an idea of how much you are looking to pay for you wedding photographer.